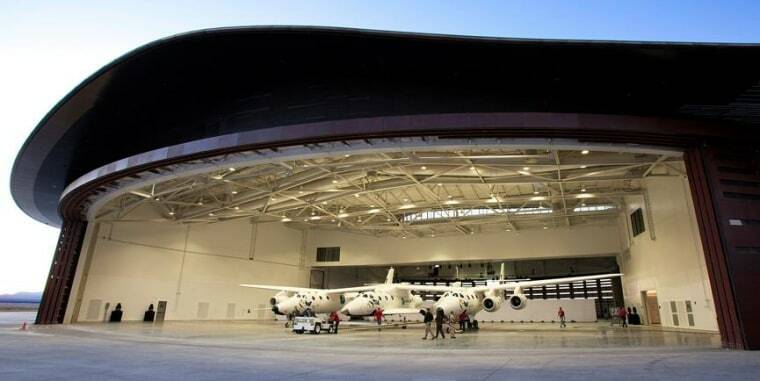 Virgin Galactic and New Mexico's Spaceport America say they have signed an agreement with the Federal Aviation Administration that covers how airspace will be managed during suborbital spaceflights by the SpaceShipTwo rocket plane. The agreement spells out how the FAA's Albuquerque Air Route Traffic Control Center and the New Mexico Spaceport Authority will work with Virgin Galactic once the company starts commercial space flights, according to a news release from Virgin Galactic. "Our team is working hard to begin routine and affordable space launches from Spaceport America, and this agreement brings us another step closer to that goal, " Virgin Galactic CEO George T. Whitesides said. More steps remain, however. SpaceShipTwo still has to undergo further flight tests at the Mojave Air and Space Port before it makes the move to Spaceport America, and the FAA still has to grant a license for commercial operations. Virgin Galactic's billionaire founder, Richard Branson, has said he's aiming to fly on SpaceShipTwo by the end of the year, but that schedule depends on how the flight tests go. Virgin Galactic has similar airspace agreements with Edwards Air Force Base and the FAA's Joshua Control Facility in California, as well as the U.S. Army's White Sands Missile Range in New Mexico. NBCUniversal has established a multi-platform partnership with Virgin Galactic to track the development of SpaceShipTwo and televise Branson's spaceflight.